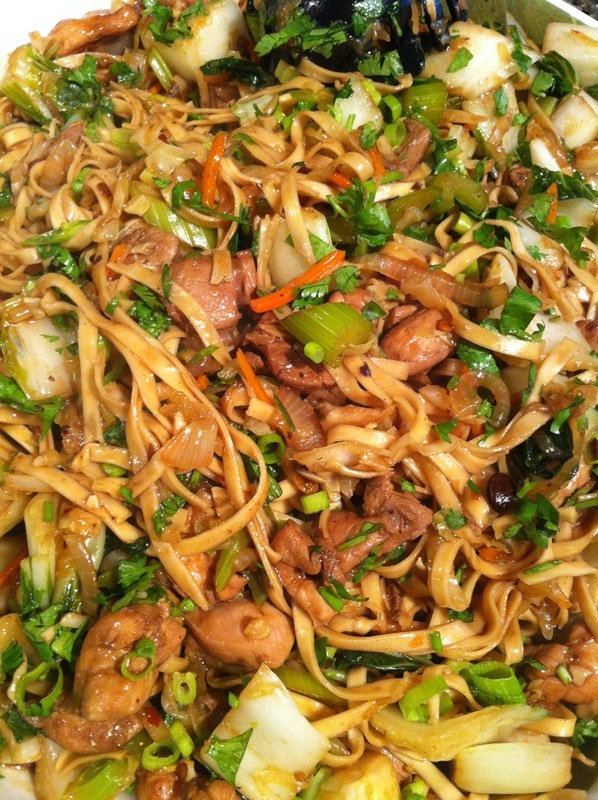 Most cooks have their own lo mein and brown sauce recipe. Every time I make this for the hubby I tweak it a bit depending on what I’m in the mood for that day. Some days a little spicy, while other days a little sweet. Today I felt like adding some fermented black beans to the sauce and kicking the spice level up a notch with the addition of Thai chili peppers. 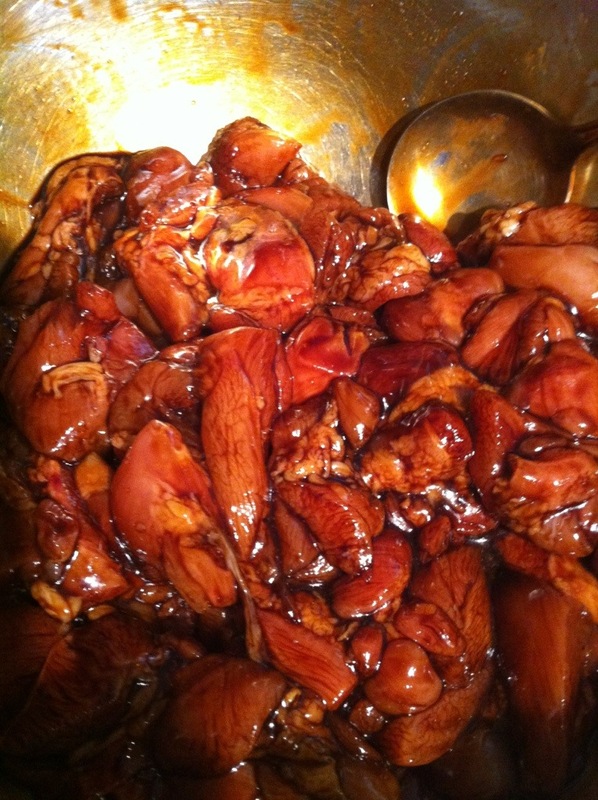 The veggies also change depending on what I have on hand; however, I keep my meat marinade and sauce base the same. 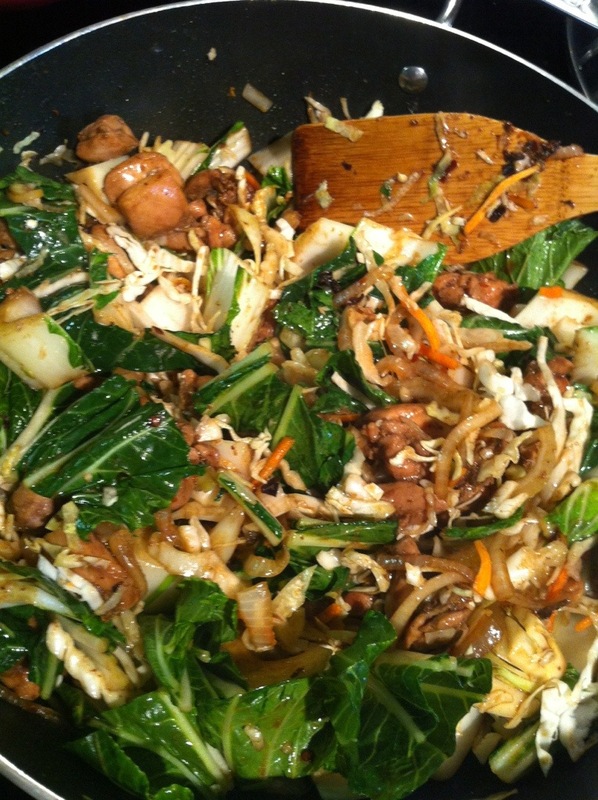 Most of the work involves prepping with only the last 10 minutes spent on cooking as you toss everything quickly into your pot or wok. So I’ve learned to over estimate how much sauce I’ll need at the very end. 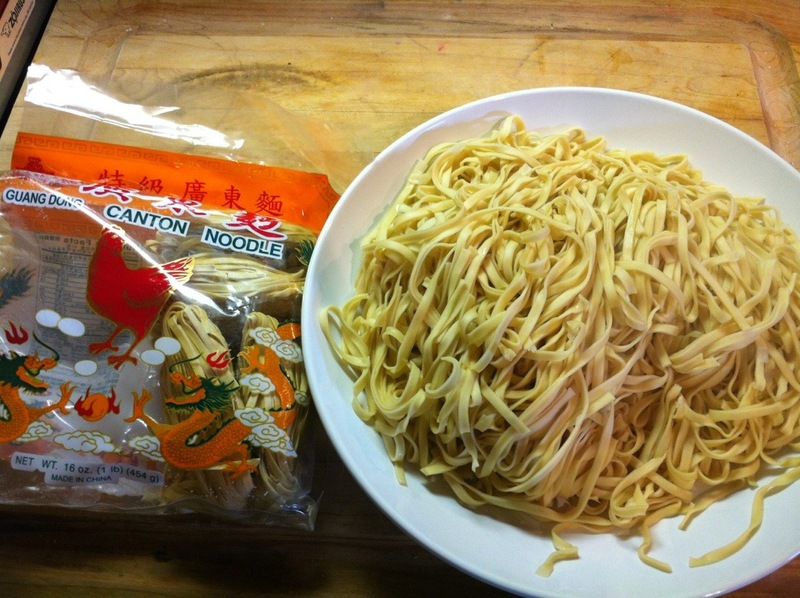 Better to pour the little that you don’t use down the drain than end up with dry unseasoned noodles. 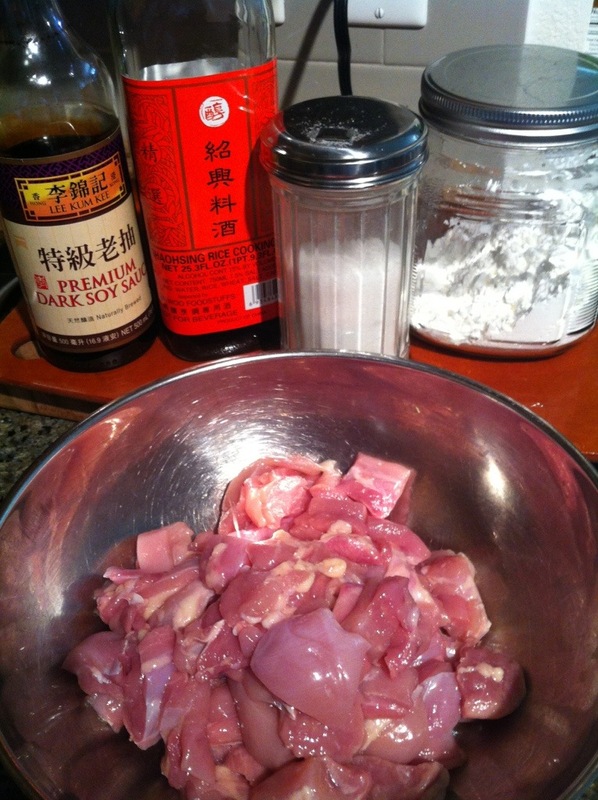 First slice your meat into bite size pieces and marinate for 20 minutes. I really prefer dark soy sauce over regular. It adds more flavor and color to the meat. Next, drop your noodles into boiling water until the noodles separate. This shouldn’t take more than 1 minute since the noodles are already cooked and then dried. Quickly drain the noodles and set aside. Then prep your produce. This step will take the longest. I cheated a bit and used store bought shredded cabbage and carrots. Also shown below are sliced onions, sliced celery, chopped bok choy, and minced garlic, scallions (whites and greens separated), Thai chili peppers, and cilantro. One last step before turning on the stove is the get your sauce ready. Here I made 3 cups. I only ended up using a little over 2 cups. 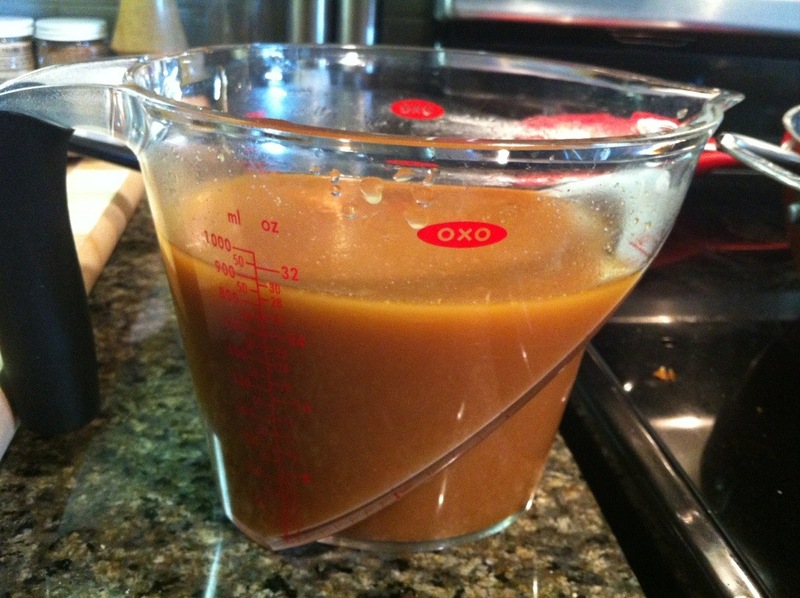 I always taste the sauce before pouring it in to make sure the sweet, sour, and salty flavors are balanced. 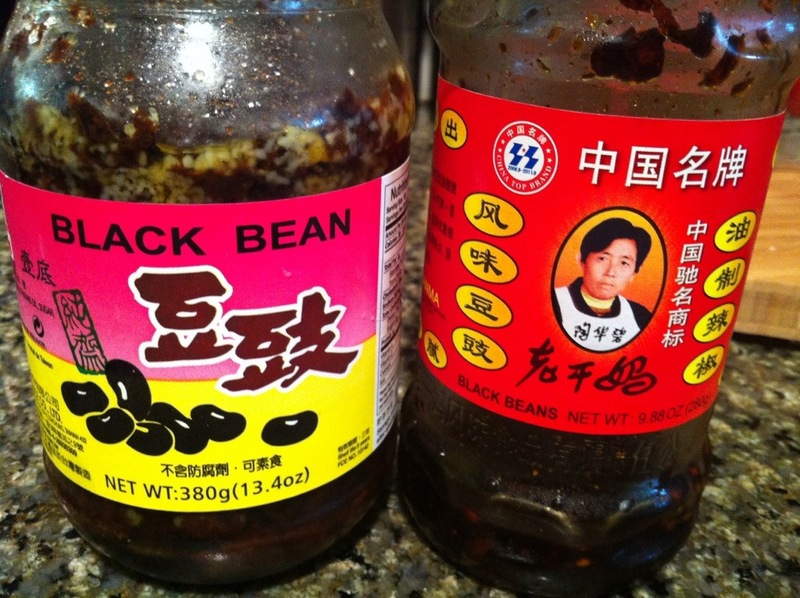 The additional ingredients for the day included fermented whole black beans and a chili oil with black beans condiment you can find in almost any Asian grocery store. Heat up your oil on high. 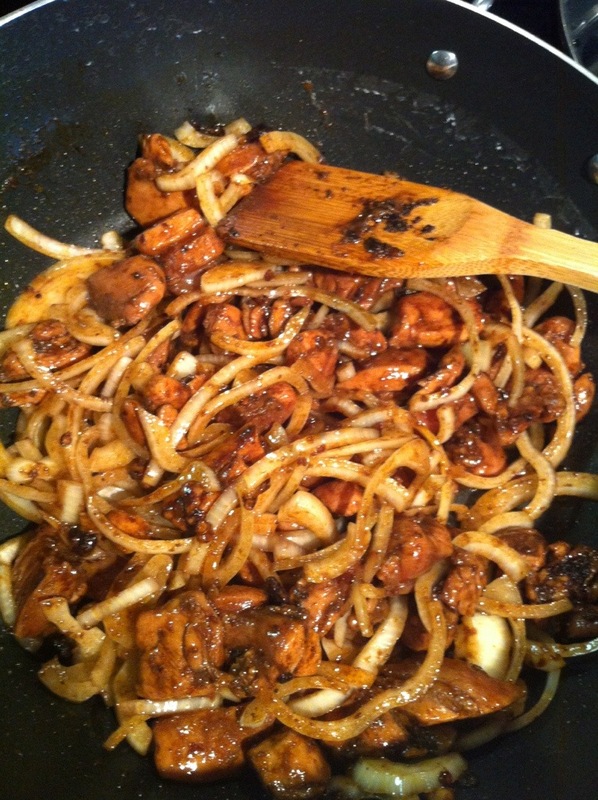 I love using peanut oil when stir frying at high heat. It smells great and has a high smoking point. 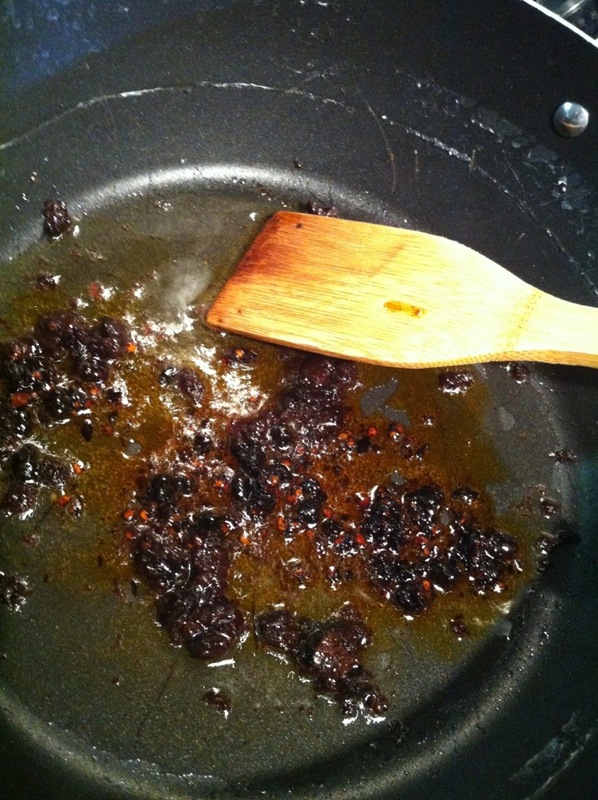 Add in your black beans and chili oil with black beans. I slightly mashed up the black beans and sauteed a few seconds until fragrant. 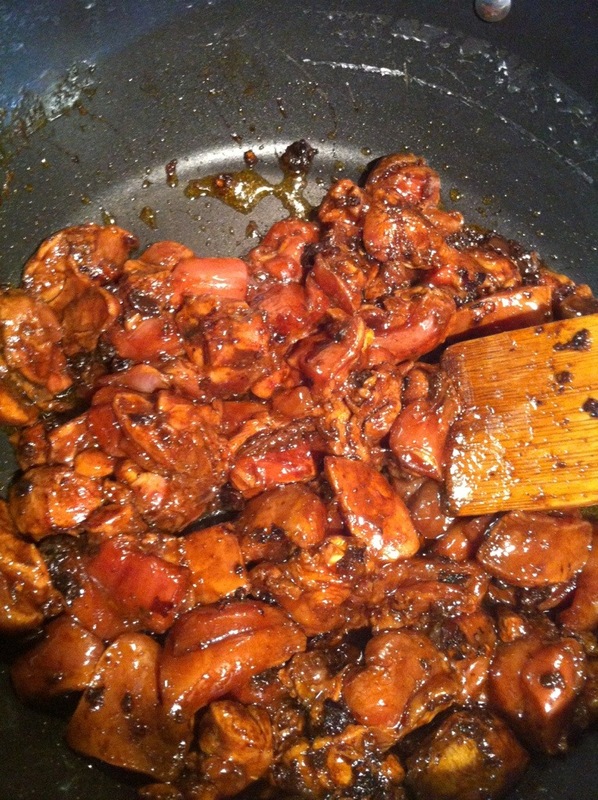 Add in your chicken and sear until the outside is brown. Add in your sliced onions and cook until they just start to soften. 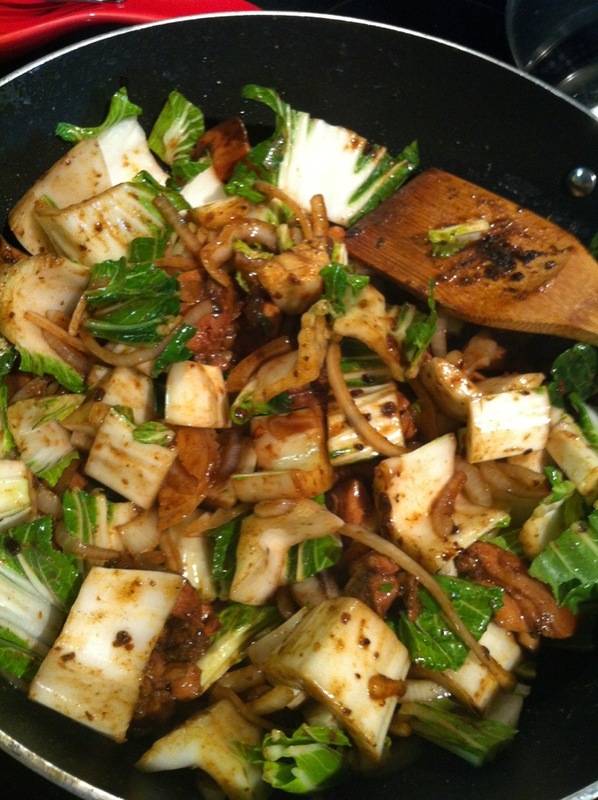 Add in your bok choy stalks, garlic, white parts of the scallion, and chili peppers. 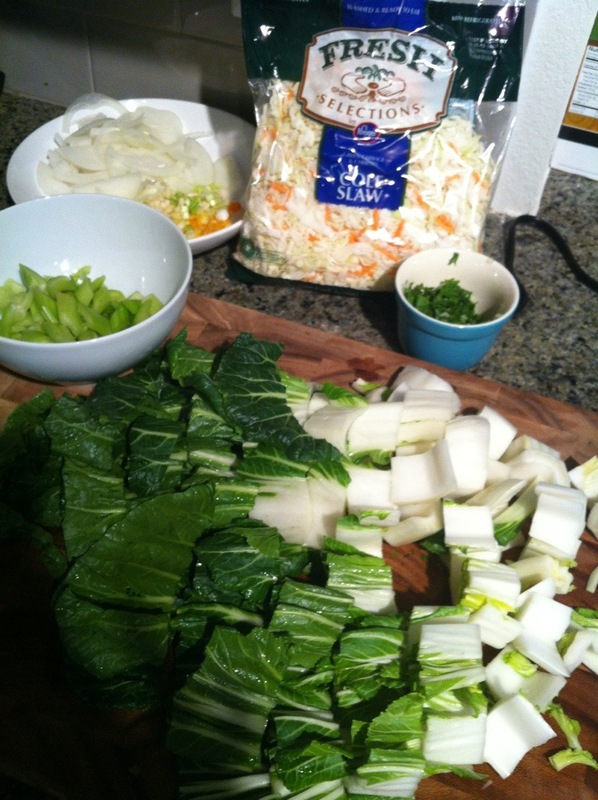 When the bok choy stalks start to soften, add in the bok choy leaves, celery, cabbage, and carrots. I split this step up because the hubby likes his celery still a little crunchy. So I try to add it at the last minute before pouring in the sauce.